The unknown architect of Balrampur Chini, Meenakshi Saraogi's biggest achievement lay in inspiring farmers to grow more cane. Every discussion of India's successful women entrepreneurs usually overlooks one name. A name that could be heading the list. 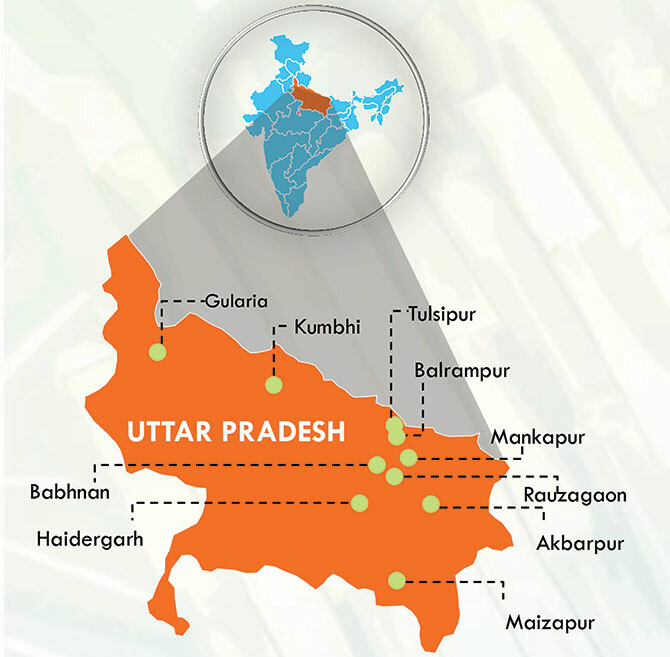 Meenakshi Saraogi, architect of Balrampur Chini Mills, the country's premier sugar company. 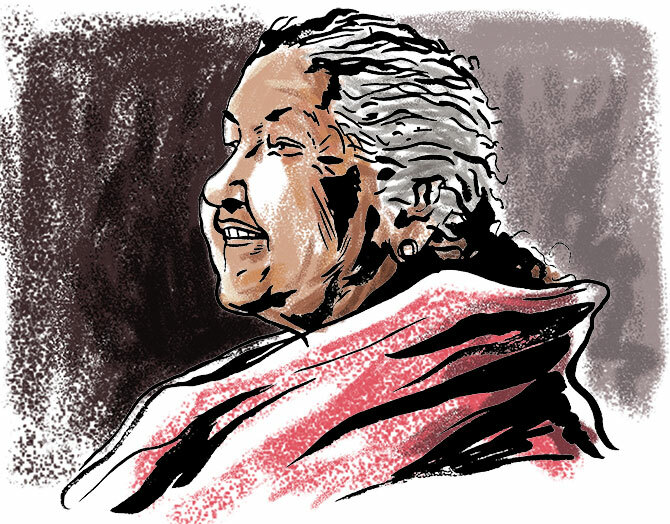 Until the late 1970s, she was an affluent Kolkata homemaker. Saraogi might have continued to so remain, but for an unexpected development: A division of family assets could have divested the family's sugar mill. 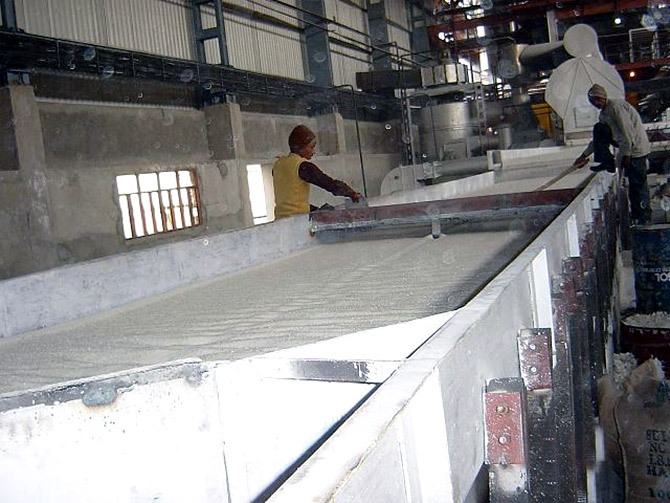 With her immediate male family members unable to commit to active day-to-day management, Saraogi ventured to assume direct control of this mill in eastern Uttar Pradesh. The implications were varied. Saraogi would not be the absentee maalik (owner) who would abdicate the company for munims (clerks) to run. She would manage on-site and hands-on, nine months a year. She would be up until 5 am daily through the sugar season, to counter a probable decline in night-time cane-crushing recovery. She would live within the factory premises, the overriding molasses odour notwithstanding. A red light in her bedroom blinked, accompanied by a siren in the background, as soon as the crushing machine malfunctioned. Every babu would have descended on the shop floor within six minutes (some in pajamas), as Madam would have already got there, demanding an explanation. On the one occasion I sought an interview with her, she agreed to meet at 3.30 am. On being asked whether it was true that executives often wet their pants when she yelled at them for performance under-delivery, she kept a straight face and said "Yes". And yet, Saraogi's biggest achievement was not in-plant surveillance. It lay in inspiring farmers to grow more cane. She created a '14-day rule', within which farmers would need to be paid irrespective of corporate profit or loss. The receipt (parchi) became virtual legal tender within Balrampur's command area (a number of farmers not encashing for fear that the proceeds would be frittered). She consistently invested in equipment higher than the available cane throughout only because this would enable the unit's crushing to be completed earlier than usual, at relatively high recoveries, leaving the farmer's plot vacant for a shorter crop. Her ground-level understanding made it possible to accurately forecast cane output from her command area 9.5 times out of 10. Her operational paranoia reflected in the deputation of executives to the shop floor of capital equipment suppliers, if only to report ke apna kaam ho raha hai ki nahi (to see if her work was getting done). Her team was equipped with walkie-talkies before the days of mobile phones, to apprehend cane-carrying truckers who might have dozed on the highway. 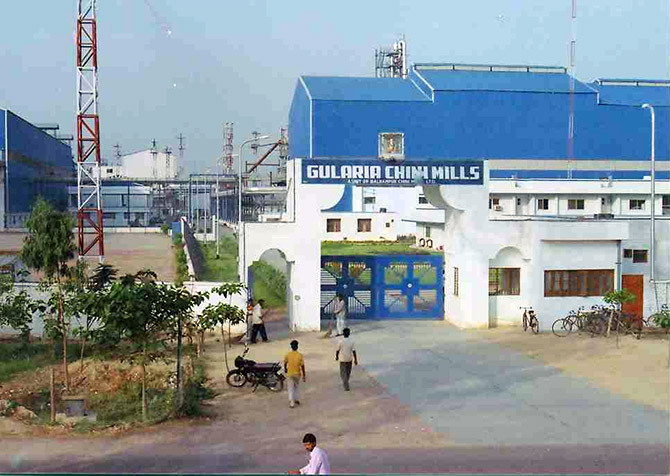 Even as she never went to business school, her distinctive passion graduated the flagship unit of Balrampur Chini Mills from 800 tcd (tonnes of cane per day) to 12,000 tcd capacity (within a shrinking command area). As an extension, it grew the company from 800 tcd to 76,500 tcd across 30 years, and created an index by which every single UP sugar company came to be appraised. The irony is that at a time when it is possible to know what any corporate captain has had for lunch, there is almost no mention of this outstanding business leader in any business paper, magazine or Web site. Mudar Patherya is a stock market writer, tracking corporate earnings and investor psychology to gauge where markets are not headed. 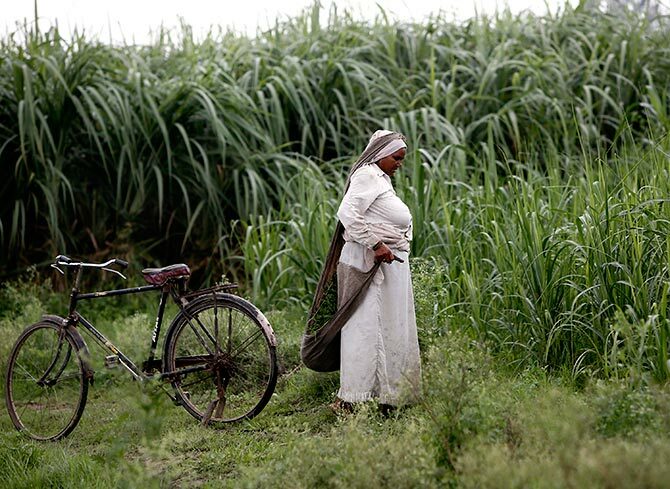 Should India stop growing sugarcane?